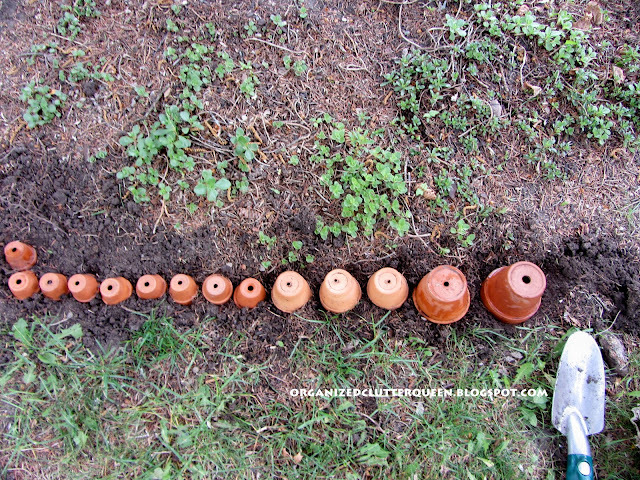 Today is cooler and the temperature may dip to 37 degrees tonight so I stopped flower planting, and worked on setting up my terra cotta pot edging under a spruce tree in my yard. This is my starting point. A few sedums, hostas, lady's mantle and astilbes in various stages of growth. 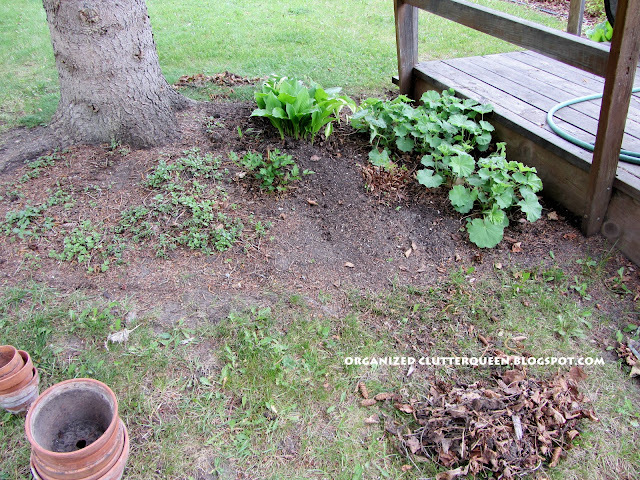 The soil is dry and leaves and pinecones need to be raked up. I wash up the pots with soapy water, but I like the aged pot look so I don't use bleach. 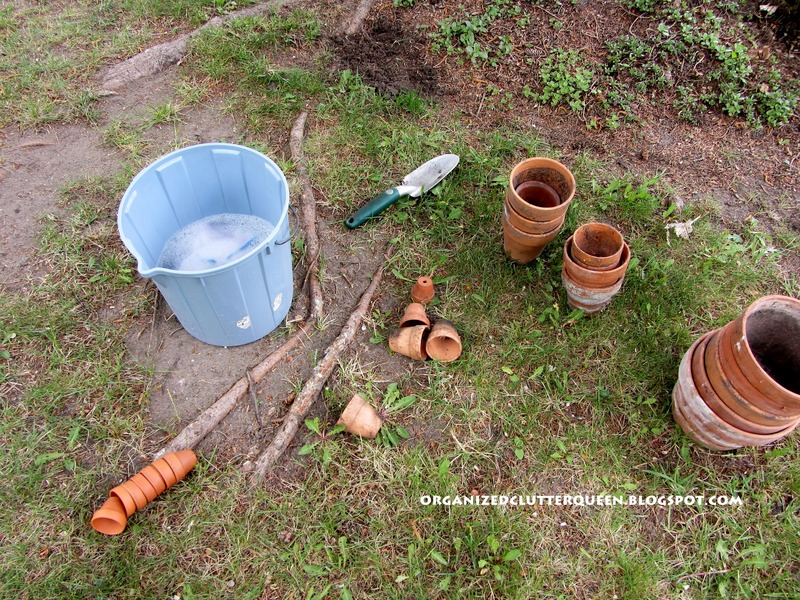 I loosen the dirt, dig any weeds in the area, and line up the little pots first. You can stick a piece of bark mulch under one side if the pots don't sit straight. 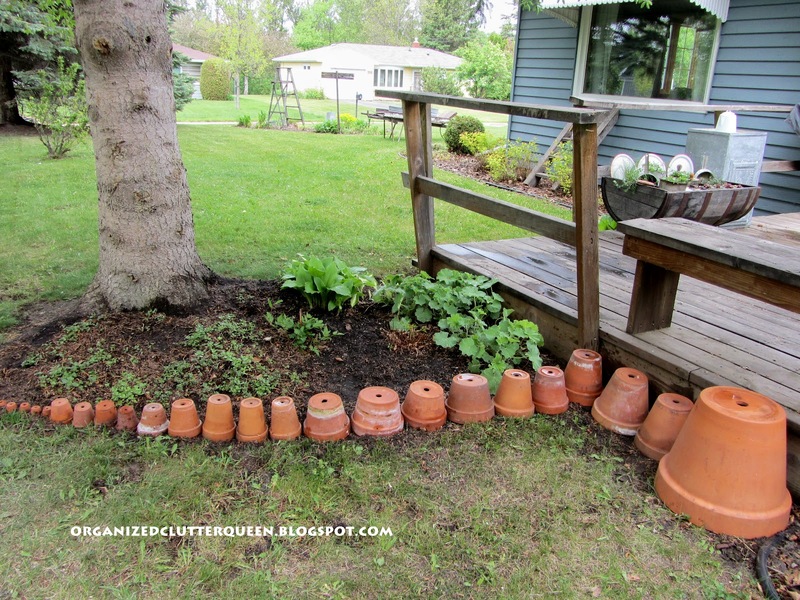 Gradually the pots get larger and larger until they reach the rubber edging on the deck plantings. 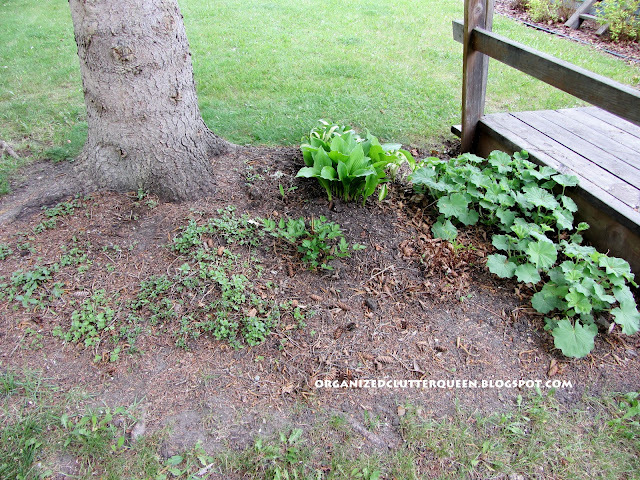 After the perennials fill in a little more, I will add a few annuals if necessary. Usually, the perennials pretty much fill it up. 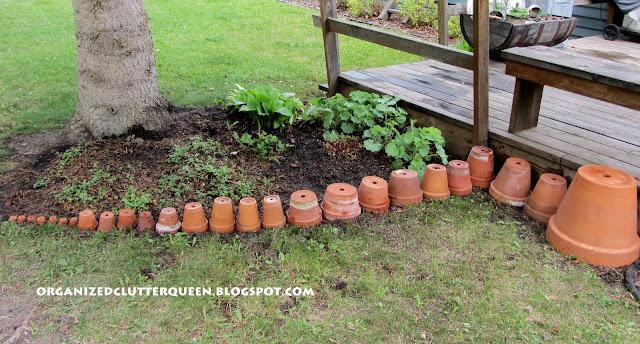 If you have run out of ideas for flower bed edging try terra cotta pots! Oh Carlene! That is just the best! I have never seen anything like it. How fun! Thanks for the great tutorial. Now I need to keep my eye out for more pots. Awesome job! Now that's cute. I also like using plates. 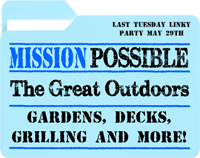 But the deer we have would break them. One in the yard right this moment. Very cute idea. Love how they are different sizes. Now that is very, very cute! Great use for those really small pots that are too small for plants; and I like how you graduated them; super cool! What a neat idea! You're so creative! Love it! What a wonderful idea! They look so cute! What a fun idea for an edging Carlene. I have lots of terra cotta pots. Wonder where I could do this? I love the aged look also. Carlene, I love this idea! The pots look great as a border. A lovely whimsical way to use up the clay pots. 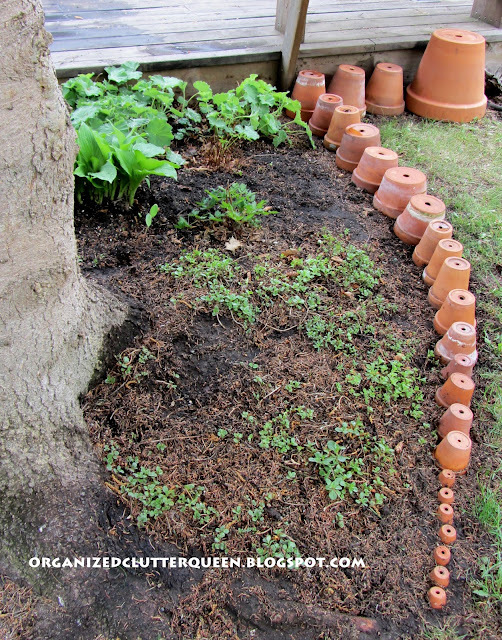 its pretty clever...I may have to try this in my garden - thanks for the idea! This is fabulous - am pinning this!